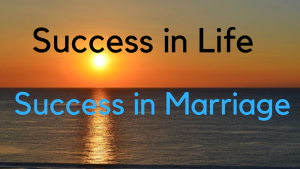 If you are successful in most parts of your life, will you be successful in your marriage? Do you know what you want and are you working toward sharing your talents with the world? Knowing what you want not only effects you, but others. 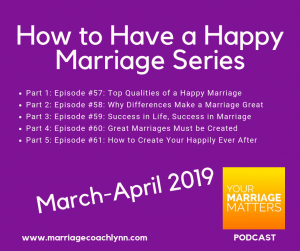 How does your success and happiness or lack of success and happiness effect your spouse and family? How do you deal with challenges and differences in your relationship?